On March 11th, 2011 an earthquake with a magnitude of 8.8 hit north-east Japan and triggered a tsunami. The map shows the coastal area close to Sendai affected by the earthquake and the tsunami. It indicated the flooded regions and debris zones as well as destroyed infrastructure. This change detection analysis is based on two TerraSAR-X acquisitions recorded on October 20th, 2010 (pre-disaster) and March 12th, 2011 (post-disaster). The differences between the two images are colourcoded in red-green-blue. Flooded areas as of March 12th appear in blue. 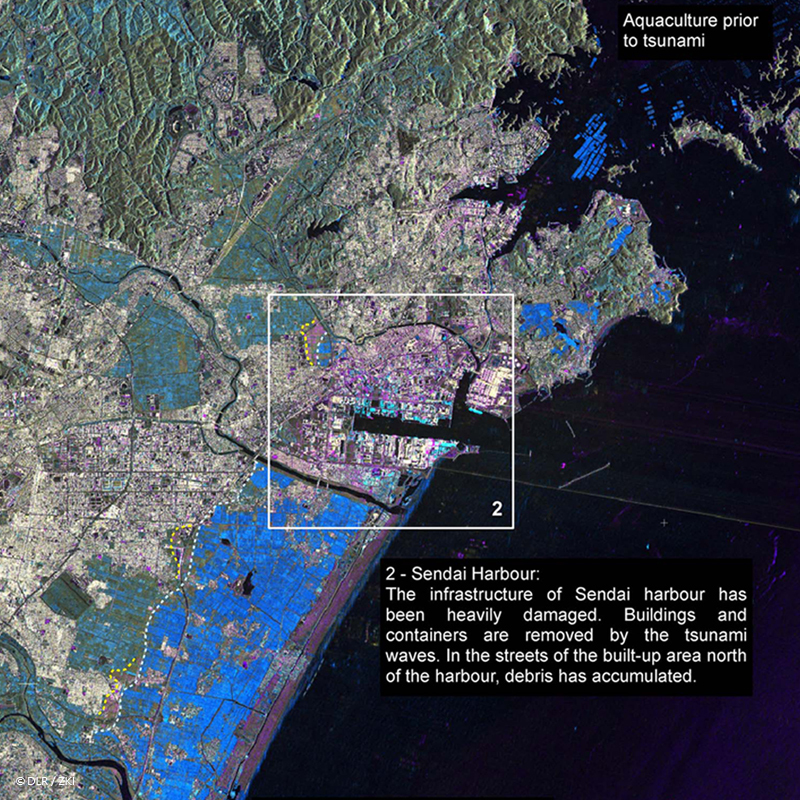 Tsunami-affected infrastructure is visible in cyan and debris deposited by the tsunami is shown in magenta. Unchanged water bodies as well as airport runways or major roads appear black in the radar image.